Charter Communications has completed the transactions with Time Warner Cable and Bright House Networks, and soon you'll get to know us by the name, Spectrum. We are proud to be the fastest growing TV, Internet, and Voice provider in the United States and are committed to bringing you the most advanced products and services for your home and business. 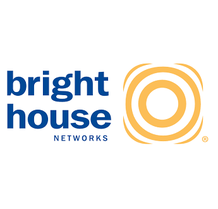 Exciting changes are in the works, but for now, Time Warner Cable, Bright House Networks and Charter Spectrum will continue offering their current suite of services to customers in their markets. In the coming months you'll hear more from us as it relates to network, product and service improvements. Whether it is new ways to enjoy more shows with unrivaled picture quality, better service, or faster internet speeds, we cannot wait to show you what's next.